Australia’s only celebration of bookshops takes place on Saturday the 10th of August with bookshops around the country giving away over 25,000 free books, hosting events, readings, with a wide range of other activities. 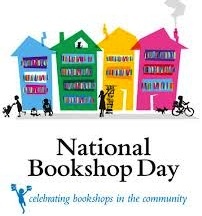 Selected bookshops along with their publishing partners will celebrate and thank their customers by giving away over 25,000 non-fiction, fiction and children’s books from local and international authors. The day kicks of at 10am with William McInnes, one of Australia’s best loved authors and actors, announcing the winner of the ‘Australia’s Favourite Bookshop’ competition at his local bookshop, The Sun Bookshop in Yarraville Vic.